Good Ol’ Cold Splinters has a story in the new issue of Mountain Gazette called “The Lost Art of Hiking With Strangers.” Go pick it up at your local magazine shop or get a subscription. Published in the same magazine that Ed Abbey contributed to? Not a bad Christmas present. In 1909 the Duke of the Abruzzi attempted K2. Although he didn’t get the summit, his expedition photographer, Vittorio Sella, captured some of the most beautiful mountain images in history. A century afterward, Fabiano Ventura traveled to the Karakoram to re-create these and other legendary shots. Along the way, he uncovered visual proof that the world’s glaciers are shrinking. 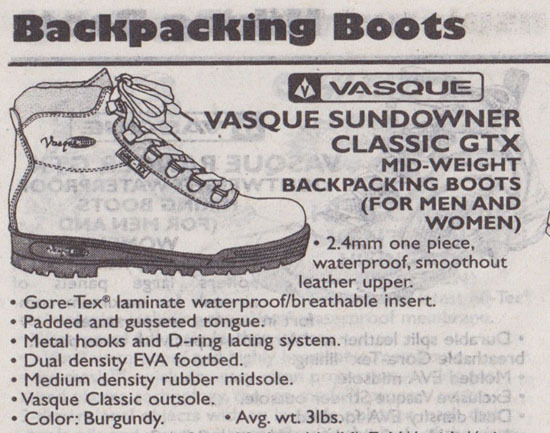 If you’ve been on this blog more than once and you’ve never seen an ALPINIST, do yourself a favor and chalk up the 12.99 to buy one. Once in a while, it’s too hard to refuse buying yet another t-shirt on Ebay. This handsome little number should be arriving any day. Thank you, Justin. One morning on the AT in 1963, I woke up in camp, yawned, stretched, and heard the patter of rain on my tent. I changed my hike plans, snuggled a little deeper into my sleeping bag, and decided to cook breakfast beneath the tent fly. The only others at this campsite that morning were some teenage boys standing around a campfire. I barely could see them through the trees. While eating my oatmeal, it began raining more earnestly, causing the other campers to scurry out of sight. At first I paid little attention. But while savoring my coffee and beginning to peel an orange, it dawned on me that those campers had taken down their tent and left camp with no intention of returning to put out their fire. If anyone has the rest of the article (only a portion of it is online) let me know. The Way Of The Scout and The Tracker were always being read and discussed when I was young, largely in part because of Trevor, a friend who was obsessed with sneaking around the farms adjacent to his house and practicing psychological warfare on the farms’ owners. (Psychological warfare is not at all the plot or message of either of the books.) We pretended we were trackers while we crawled around Horizon Farms, switching flags and dodging the barn’s motion censored lights. Tom Brown Jr. is a guy from New Jersey who was taught tracking skills by a Lipan Apache elder named Stalking Wolf, who he refers to as “Grandfather” in his writings. He’s the author of many field guides and owns a survival school in Manahawkin, NJ. In addition to his books, Brown started Tracker Magazine and wrote numerous articles for Mother Earth News throughout the 80s. Brown’s Mother Earth News column was called “At Home In The Wilderness” (the logo looks a little familiar, eh?) and the topics ranged from fire, shelter, hunting and traps to making natural cordage. Scroll to the bottom here to read the articles in full.